Below is the list of current members of our Expert Advisory Board. Ellen ‘t Hoen is a lawyer and public health advocate with over 30 years of experience working on pharmaceutical and intellectual property policies. She is an independent consultant to international organisations, non-governmental organisations and governments. She is also a researcher at the University Medical Centre Groningen, Global Health Unit, The Netherlands. From 1999 until 2009 she was the director of policy for Médecins sans Frontières’ Campaign for Access to Essential Medicines. 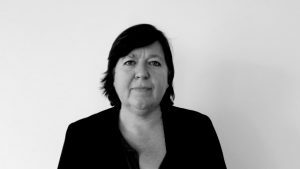 In 2009 she joined UNITAID in Geneva to set up the Medicines Patent Pool (MPP) and was the MPP’s first executive director until 2012. Her TED Talk about the Medicines Patent Pool is available here. She has published widely and is the author of several books. Her latest book, “Private Patents and Public Health: Changing intellectual property rules for public health,” was published July 2016. 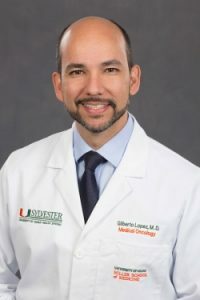 Dr. Gilberto Lopes, a medical oncologist, is the medical director for international programs and associate director for Global Oncology at the University of Miami Sylvester Comprehensive Cancer Center and associate professor at the Miller School of Medicine; and associate editor for ASCO University and for the society’s Journal of Global Oncology; he previously worked at the Johns Hopkins University and was chief medical and scientific officer for the Oncoclinicas Group, the largest oncology provider in Latin America with 35 clinics and more than 300 oncologists in nine states in Brazil. Dr. Lopes has published more than 100 papers in journals such as the Journal of Clinical Oncology, Cancer, Nature Reviews, Lancet, Lancet Oncology and Health Affairs. In addition to delivering lectures around the world, he has been principal, co-Principal Investigator or steering committee member in more than 100 studies and clinical trials covering breast, gastrointestinal, genitourinary and thoracic cancers. His other main areas of research interest are health economics, value, policy and access to cancer drugs and treatment in low and middle income countries. Dr. Lopes is currently a committee member for the International Association for the Study of Lung Cancer (IASLC), a member of the European Society of Medical Oncology expensive, innovative Medicines working group and the chair for the international clinical trials workshop working group and track leader for global health at the American Society of Clinical Oncology (ASCO), as well as an executive board member for the Latin American Cooperative Oncology Group (LACOG). He has also served as an expert for the International Atomic Energy Agency, the World Health Organization and the Pan-American Health Organization and advised governments, professional societies and industry on issues related to cancer control and treatment in low- and middle-income countries. 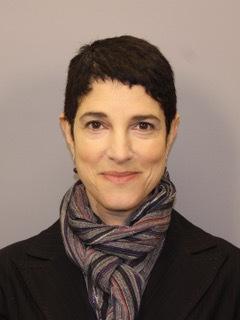 Dr. Ruth Lopert is a public health physician and independent consultant in global health, pharmaceutical policy and health technology assessment. She is an Associate Researcher at the University of Strasbourg and holds adjunct professorial appointments at George Washington University in the Department of Clinical Research & Leadership and in the Department of Health Policy & Management, where she was Visiting Professor in 2011-12 and a Harkness Fellow in Health Policy in 2006-07. Ruth has worked in more than 15 countries on assignments for the World Bank, the Inter-American Development Bank, PAHO, WHO, NICE-International, Oxford Policy Management Limited and Management Sciences for Health, as well as directly for various national Ministries of Health. From 2008-11 Ruth was the chief medical officer in the Australian drug and therapeutics regulatory agency, the Therapeutic Goods Administration. Previous roles include establishing and directing the pharmaceutical policy unit in the Australian Department of Health, managing the operations of the national drug coverage program, the Pharmaceutical Benefits Scheme; and as a clinical and policy advisor to the national formulary committee. Ruth is a Fellow of the Faculty of Public Health of the Royal Australasian College of Physicians, a member of the Royal Society of Medicine of the UK and the l’Academie Nationale de Pharmacie of France, and is a former member of the WHO Expert Advisory Panel on Drug Policies & Management. 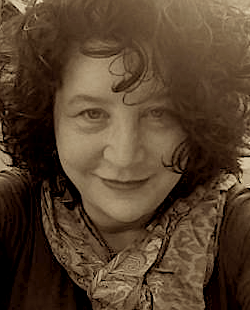 She is the author of more than 50 peer reviewed articles on drug and therapeutics regulation, public health policy, health and pharmaceutical economics and policy, health technology assessment (HTA), and issues at the intersection of trade, globalization, intellectual property and access to medicines. Dr. Ophira Ginsburg is medical oncologist with expertise in cancer genetics, epidemiology, prevention, and screening. Her research spans more than a decade in global cancer control and women’s health equity. Since 2004, she has developed a program of population intervention research and training in global cancer control, with projects in Vietnam, Bangladesh, and Tanzania. She is principal investigator on studies of population differences in breast cancer risk factors; and of public health interventions to improve access to cancer services for women in low-income countries, and women from ethno-cultural minority communities in North America. She is an Advisor to the National Cancer Hospital and National Institute for Cancer Control of Vietnam, and is a faculty member of the Institute of Cancer Policy, King’s College London and the James P Grant School of Public Health at BRAC University, Bangladesh. She serves on several NGO advisory boards including Young Professionals Chronic Disease Network (U.S.), Global Focus on Cancer (U.S.), and is a founding member of WEMA, Women’s Health Equity Through Mobile Approaches (Canada). From October 2015- November 2016, Dr Ginsburg worked in Geneva Switzerland, as the Cancer Management Lead for the World Health Organization. In March 2017 she began a new post as Director of the High Risk Program at the Laura and Isaac Perlmutter Cancer Center at NYU Langone Medical Center, and Associate Professor in the Department of Population Health, NYU School of Medicine. Dr. Ginsburg has co-authored 5 book chapters, 2 books, and 60 peer-reviewed articles including high impact journals such as The Lancet, JAMA, British Medical Journal, British Journal of Cancer, Annals of Oncology. She led a three-part commissioned series for The Lancet, “Health, equity, and women’s cancers”. A global effort with 40+ authors from 18 countries, the Series was published along with invited commentaries at the World Cancer Congress (Paris, Nov 2, 2016). She is a founding editorial board member of the Journal of Global Oncology (ASCO) and Journal of Cancer Policy (Elsevier). Andy Gray is a pharmacist whose research interests include policy analysis (in particular, the development and implementation of National Medicines Policies), rational medicines use and the application of antiretroviral therapy in resource-constrained settings. He is a Senior Lecturer in the Division of Pharmacology, Discipline of Pharmaceutical Sciences, School of Health Sciences, University of KwaZulu-Natal, Durban, South Africa. He is also consultant pharmacist for the Centre for the AIDS Programme of Research in South Africa (CAPRISA) and non-executive Director of JEMBI Health Systems, a not-for-profit company focused on developing computer/IT-based healthcare solutions for the developing world. Mr. Gray is a Visiting Fellow in the Faculty of Pharmacy, Rhodes University, Grahamstown. Mr. Gray is a Fellow and Honorary Life Member of the Pharmaceutical Society of South Africa, a past President of the South African Association of Hospital and Institutional Pharmacists, a past President of the Hospital Pharmacy Section, past Chairman of the Board of Pharmaceutical Practice and currently a Vice-President and Fellow of the International Pharmaceutical Federation (FIP). He has been a member of the Scheduling and Naming Expert Committee of the South African Medicines Control Council since 2000 and was appointed to the National Essential Medicines List Committee in 2012. He is a member of the World Health Organization’s Expert Panel on Drug Policies and Management and has served as a member, rapporteur and co-chairperson of the Expert Committee on the Selection and Use of Essential Medicines, as chairperson of the sub-committee on Essential Medicines for Children, and on the WHO Guidelines Review Committee. 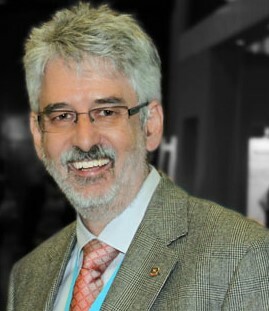 Widely published, he has served as a reviewer for a number of international and local journals, is associate editor of the South African Pharmaceutical Journal and serves on the international editorial advisory boards of International Journal of Clinical Pharmacy, the Journal of Pharmaceutical Policy and Practice and the GaBI Journal. He has also been a member of the editorial committee of the South African Health Review. Mr Gray has reviewed funding applications for several agencies, including the Health Systems Trust, National Research Foundation, Medical Research Council and UNITAID. He has been actively involved in the development and assessment of medicines and other health-related law in South Africa. 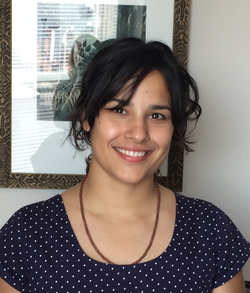 Dr. Diane Singhroy is the Scientific and Technical Advisor at Knowledge Ecology International (KEI). At KEI, she has worked on projects relating to the US National Institutes of Health’s (NIH) licensing of medical technologies, biologic and biosimilar drug development, and co-authored KEI’s WHO Essential Medicines List (EML) application on cancer drugs T-DM1 and enzalutamide. Her past cancer research included studying oncolytic viruses and studying the Akt/PI3k/Ikke pathways in breast cancer cells. Prior to joining KEI, Dr. Singhroy worked as a graduate student researcher in Dr. Mark Wainberg’s laboratory at the McGill AIDS centre studying drug resistant HIV and innate immune interactions. She also taught for a microbiology laboratory sciences and collaborative drug discovery course as a teaching assistance for McGill university. 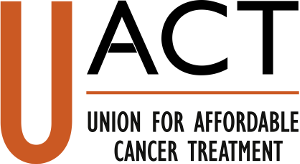 Dr. Singhroy has worked on access to medicines issues for University Allied for Essential Medicine (UAEM) as a chair of the Trade group and member of the North American coordinating committee (cc). There she advocated on issues ranging from the TPP, the R&D Treaty and academic activism. In her final year at UAEM, she was a UAEM cc fellow and served on the global governance council. Before starting her PhD at McGill, Dr. Singhroy worked for the Office of Clinical Trials at Health Canada as a screening officer. Dr. Singhroy holds a BSc in Health sciences (concentration in biochemistry and molecular biology) from Carleton University, Ottawa, and a PhD in Immunovirology from McGill University, Montreal. Luis Villarroel Villalon is a lawyer based in Chile, who works as an international intellectual property consultant. He is the Director of Corporación Innovarte, the Latin American Corporation for Intellectual Property Research for Development. He has advised on intellectual property reforms in Brazil, Uruguay, Ecuador, and in international negotiations to Malaysia, Vietnam and other countries. Mr. Villarroel previously served as a member of the Industrial Property Court of Chile and was former Chief of Legal Division and Intellectual Property Advisor for the Ministry of Education of Chile. Recently, Mr. Villarroel has been advocating for the use of compulsory licenses in South America for a variety of important medical technologies, including on a prostate cancer drug in Chile and a leukemia drug in Colombia. 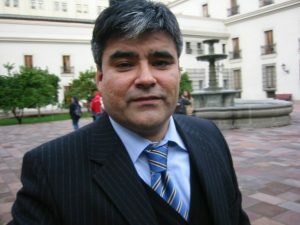 Mr. Villarroel graduated from the Universidad de Chile Faculty of Law with a degree in Legal and Social Sciences and holds a Master in International Legal Studies from American University Washington College of Law as well as a diploma from the Institute of Law of Mines and Waters, University of Atacama, Santiago.